We know a lot of cricket buffs among our friend circle. Most are well versed in the game, have amazing insights and experiences to share. When we see them debating on Facebook or on e-mails, we often cialis pills wonder what if they wrote a post on the topic. So we thought why not let the fans speak for themselves. If you are feeling too lazy to set-up your own blog but are itching to write an article on Tendulkar’s recent heroics, or want to vent out your frustration on why Ravindra Jadeja makes it to the Indian team, or why Sehwag is losing his hair, or have some theory on the game that no one has heard of, or simply cannot get enough of recollecting some old matches and innings, you are at the right place. 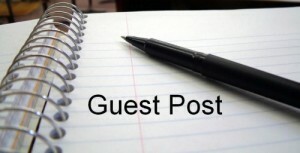 In this section, we will publish the posts of guest contributors on The Corridor of Certainty. We hope this section will be a treat to our readers to experience the different views on the game. We also hope the posts in this section inspire hidden writers to venture out and express themselves without any inhibitions. You can read the guest posts here. I have long stopped following cricket. Switched to football soon after my gaddari 🙂 .. maybe this will re-ignite it? Doubt that. But I am game for banter.. nice to place crap out once in a while eh. 😉 .. Great site, PK and gang. Woohoo.